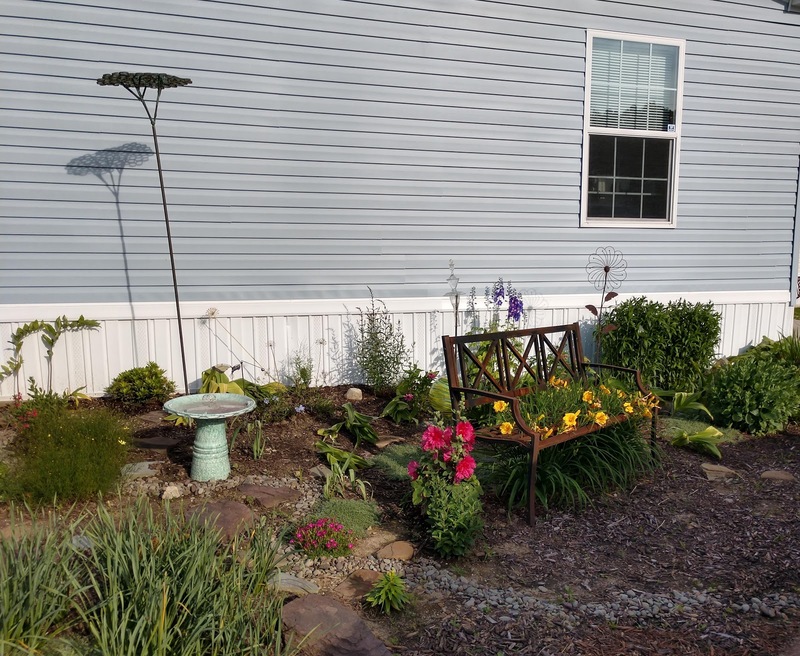 How nice the garden looks. The entire haul came home in her backpack. Hard to believe it was not confiscated for smell and put off the plane. 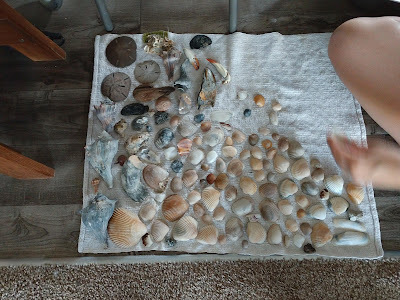 I stepped around to photograph the haul from two trips to the beach. But I'll also point out, shells are drying on a thirty year old towel. The garden is looking great - and that is an impressive haul. One of your towels? A thirty year life is excellent. Welcome home! I trust you had a nice vacation. The garden is looking lovely and so are the souvenirs. It's hard to believe your towel is 30 years old. 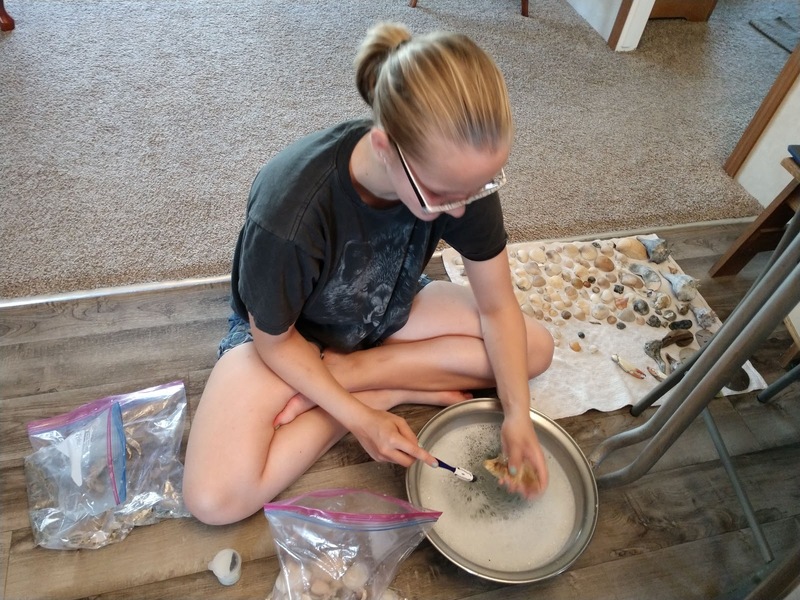 Laura found some great looking shells! I love beach combing. I love to travel but love getting back home, your garden is looking great. Shells like those look very nice piled into a clear fat vase (often found in thrift stores) . . . I love finding what the ocean washes up. That's my choice of souvenir, too. Glad you had a safer trip this year, Joanne. Nice to be back? I need to do some beach combing soon. What a lovely haul of pretty shells! Good to be home again? I always like to get home, no matter how much I've enjoyed being away. Its a relief to come home and see that the garden has been looking after itself! Beautiful shells,make me want to go the beach . Such a beautiful collection of shells. Great reminders of a lovely vacation. Oh Joanne. What a nice trip for you both. 30 year old towel? They barely last a year here. It's good to be home. Did someone water for you. I have to nearly every day as it is HOT! that's quite a haul. and yes the garden looks great but no sitting on the bench! She did well with the shells, they look great. As does the towel. I used to bring it all home too. She is certainly having fun . 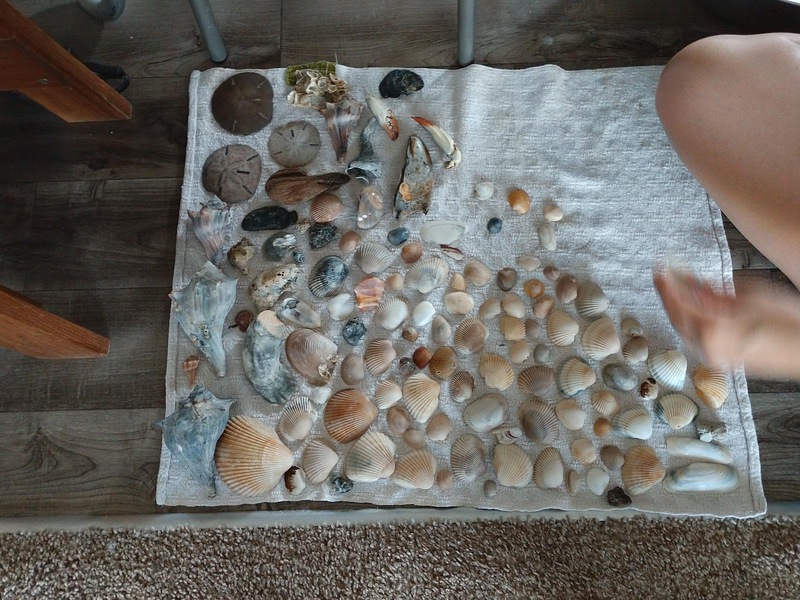 How wonderful that she found all of those shells. In all my years of beach visiting I have never found a sand dollar!! I left a comment but don't see it. Anyway I like to collect rocks and shells too. There is so much you can do with them. Shells and beach glass! It's always surprising there's any left after the summer.